Gorgeous photo! The sky, the clouds & the water look so vivid & clear, & the latter looks so clean! Oh, my, I’d love to be on a sailboat there right now. Cheers! 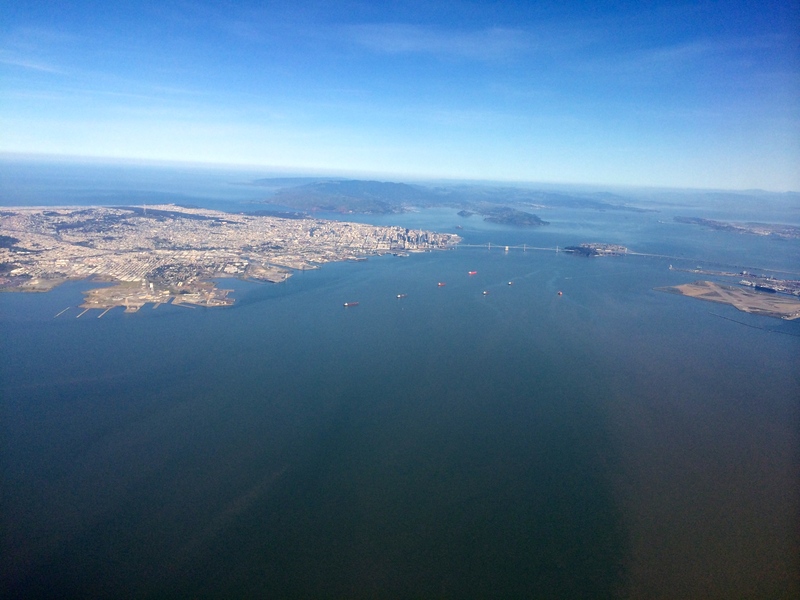 Wow, a clear day in SF! Gorgeous! Super photo. Wish I was back there now. California dreaming…. A very calm and beautiful scene. you like? Feel like I am soaring over the ocean. Thanks. I love the picture, but I wish the boats were a little closer. This pic looks like it was taken on a clear day. love to visit one day. I can’t see the boats all that well though.